Steve Kirkpatrick explained his success in 1990 by citing a new-found patience at the plate, according to The Reading Eagle. That success led to a 17-game hitting streak by the end of June for the 5-foot, 11-inch outfielder. "I'm small and I see a lot of fastballs," Kirkpatrick told The Eagle, "and sometimes I want to go out and get 'em, which doesn't work. I'm waiting for the ball to get to me more than I was. I'm not jumping at pitches." That season was Kirkpatrick's first at AA for the Phillies. But, with a batting average that ended the season at .243, it was also his last season as a pro. 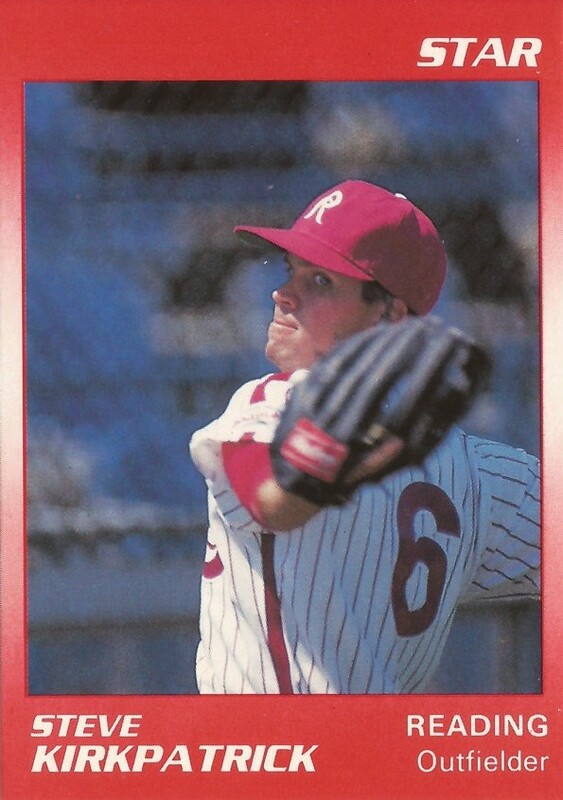 Kirkpatrick's career began in 1987, signed by the Phillies as an undrafted free agent out of Pepperdine. At Pepperdine, Kirkpatrick hit a lead-off home run in a February 1987 game, one of five he hit on the year. Kirkpatrick played his first season with the Phillies at short-season Utica. He hit .289, with five home runs. He split 1988 between single-A Spartanburg and Clearwater. Between them, he hit .244. He knocked in a run in run with a double for Spartanburg in a June game. He then helped the team to another June by throwing out a runner from the outfield. Kirkpatrick returned to Clearwater for 1989. He hit just .205, with four home runs. For 1990, he was assigned to AA Reading. In July 1990, Kirkpatrick made Sports Illustrated, part of a photo spread on the minors. That August, he had another hitting streak, a 10-game one. It was Kirkpatrick's final season as a pro.